A multinational entertainment company recruits and hires from many countries around the world. Through the hiring process the recruiters collect many different documents and pieces of information from candidates who are applying for positions. The recruiters needed a way to gather this information and then review and validate the information before it was sent to the system of record.Many of the pieces of information gathered were Personally Identifiable Information (PII) and so there were security concerns about transmission of data and of the data at rest. They wanted all data stored behind their firewall but needed a secure way to allow candidates to submit this information in. We decided on Microsoft SharePoint 2010 as the internal validation portal for recruiters, which would store all the documents and information about candidates in the hiring process. We build custom webservices extending the SharePoint OTS webservices and surfaced those through a secure gateway to the DMZ. We then built a custom .NET web form that retrieves and sends data through these webservices and provides login and self-service user pages so the candidates could register and access their account. Once a candidate uploads a file it is added to a queue for the recruiters to validate. We developed a custom view for documents that would show the edit properties form and a preview of the document sided by side in one screen. 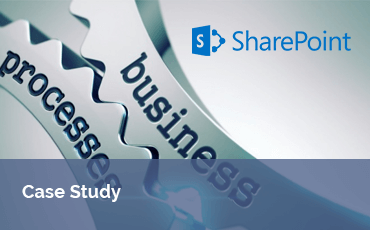 This allowed the recruiters to quickly validate the information so that it could then be sent to the hiring system of record through a custom integration from SharePoint that we built. 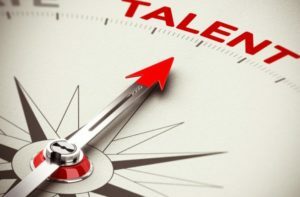 The Recruiters were able to save hours of time each day in trying to collect information from candidates while also having a security compliant way of gathering the required documents for a new hire. This has saved the company hundreds of thousands of dollars in build and operating expenses as well as have a secure gateway that complied with the security requirements. Info: This temple needed us to help simplify a manual paper and mail process for updating member information and collecting dues. Stephen S. Wise Temple is one of the largest Temples in Los Angeles. They have thousands of members that they would mail once a year to get updated information like address, children, cars and High Holy Day reservations. Each mail piece would contain the members existing information and would also have a breakdown of what dues were owed and the option to write their credit card info to pay those dues. The process also presented a security issues of mailing members personal information and then those members mailing their credit card info back to the temple. Wise Temple wanted us to create an online portal where their members could login, update their information through an easy to use form and submit payment through a web based credit cards submission form. We used Microsoft SharePoint 2013 and the Cloud App Model to build the Wise Connect solution and hosted it in the DMZ. The member information internally was stored in a SQL database and we decided on setting up an SSIS push of the data to a SQL database in the DMZ to keep the internal system as secure as possible. With a heavily branded SharePoint site and a custom ASP.NET form that connected to the SQL database we were able to create a great HTML5 user friendly wizard for the members to walk through updating their personal information, reserve High Holy Day tickets, pay their dues and even increase their giving level. Since the payment was done online we were able to prompt users when a card was declined and allow them to try another card or mail a check. 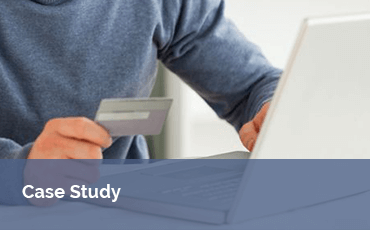 Wise Temple was able to accurately retrieve their member’s latest information and easily collect member dues with less labor hours than previous years. Saving money and time, the purpose of technology! Strategy, planning, architecture, custom development, configuration, deployment and support. The California Public Utilities Commission (CPUC) regulates privately owned electric, natural gas, telecommunications, water, railroad, rail transit, and passenger transportation companies. They serve the public interest by protecting consumers and ensuring the provision of safe and reliable utility service and infrastructure at reasonable rates. CPUC wanted to create a self service process to allow their employees and stakeholders to access necessary documents at the click of a button. California Senate Bill 779 required timely publishing of public documents on a public website. They needed the documents to be ‘cleaned’ of confidential information before they became public so they were ready for public consumption. CPUC was looking to achieve compliance and better operating performance by improving customer service and reducing risk and cost. They also wanted to reduce the time and logistics it took to create documents. 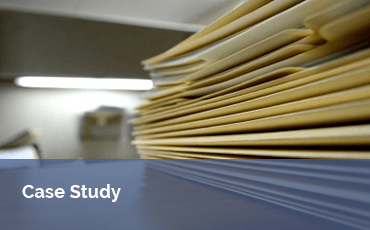 litigation support and document production. General Networks used our 27 years of experience to provide strategy, planning, custom development, deployment, and support to address CPUC’s business challenges. We used e-filing and web publishing tools to create electronic libraries that made document retrieval a self service process. As a result documents can now be accessed electronically at the click of a button. This means CPUC can achieve business and compliance goals much more efficiently than ever before. General Networks improved document retrieval throughout the organization and for the public. Using e-filing and web publishing tools we took document intensive business processes and provided more efficient ways of allowing employees and stakeholders to access documents to alleviate operating costs and make for more competent and compliant business processes. General Networks created a system that automatically published the necessary documents to the public with any sensitive data removed, we drastically improved the time and money spent previously to do so. The key benefits for CPUC are compliance with legislative mandates for Web publishing, public access and providing their stakeholders with faster and easier ways to access information in the public domain. Having a common repository for documents and one version of the truth have both been major benefits. There has been much better efficiency of managing all documents in one place and better control over documents being released into the public domain. Being able to produce ‘clean’ documents for publishing has prevented problems with sensitive information being leaked. There is also a service which allows stakeholders to subscribe to documents and issues to receive updates on any changes. General Networks provides professional IT solutions to real business problems. Our approach begins with discussing your business needs in depth to provide options for solutions using IT platforms. Our team of experts will provide the best solution and give you innovative ideas for solving ongoing business process needs. We provide customized IT development tailored to your requirements. We work along-side each client to achieve specific strategic goals through the successful deployment of IT software/platforms. Each year the California Public Utilities Commission (CPUC) processes approximately 7,500 filings submitted by regulated utilities and other participants in formal CPUC proceedings. Filers range from sophisticated law firms and utilities to small businesses and individuals. Until June 2006, all filings were submitted in multiple copies on paper. They were sent by regular mail, overnight shipping, or messenger delivery. CPUC staff reviewed the documents for compliance with various rules and entered the relevant information into the CPUC’s Case Information System. Copies of filings were routed to appropriate staff and the originals filed in the Central Files Office. Unless they were scanned, documents were generally not available on the CPUC website. The CPUC, like many state agencies, was under pressure by the public and the California Legislature to improve public access to the documents that CPUC relies on to make decisions. While electronic filing was typically utilized by the courts, it looked to be a good fit for an administrative agency like the CPUC as well. CPUC is a quasi-judicial agency with numerous proceedings, rules, and procedures. The CPUC expected the benefits from e-Filing to accrue for both filers and the Commission. Filers would save on the preparation, printing, and shipping costs associated with submissions. They would also have additional time to prepare and submit filings before deadlines, since printing, assembly, and shipping would no longer be a factor. The e-Filing process would cut CPUC staff time and costs associated with filing, processing, and storing documents. It would also reduce the effort and cycle time for handling exceptions such as requesting and reprocessing re-submitted filings. The question the CPUC faced was how to implement an e-Filing system. The CPUC decided to adapt the 2GEFS standard promulgated by the California Administrative Office of the Courts. In the absence of a national standard for e-Filing, the California courts had developed Second Generation Electronic Filing System or 2GEFS, which is based on industry XML standards. The CPUC decided that the application should be 2GEFS compliant so that filers and the CPUC would not be locked into relying on one proprietary system. After reviewing the vendors of 2GEFS compliant e-Filing applications – a small list at the time – the CPUC selected Essential Publishers in San Francisco, the maker of Essential e-Filings. Essential e-Filing is a 2GEFS compliant application that was already in use in other California courts. The CPUC selected its document management systems integrator, General Networks Corporation, to integrate e-Filing with the Open Text eDOCS document management system, Web publishing applications, and the CPUC’s in-house case management system. Work on the project began in July 2005. The CPUC’s Docket Office worked with the e-Filing team to design the “Clerk’s Module”, which is the screen where their work is completed. Initial testing with internal CPUC filers was conducted in May 2006. In June 2006, the CPUC added one high-volume external filer to the testing protocol. Within three weeks the high-volume filer had completely cut over to electronic filing. The project cost, including professional services and software totaled just over $400,000. Internal support included three members of the CPUC IT staff who were responsible for supporting integration, quality, and testing. The impact of the e-Filing system on CPUC staff exceeded expectations. User adoption of e-Filing has been fast. As a result of the decrease in paper volume, CPUC redeployed one Central Files clerk to higher priority work. Costs for storing paper documents have been reduced, and the space required to house and archive documents will be significantly reduced over time. An unforeseen result of e-Filing is the improvement in the quality of processing filings. In the e-Filing process, most data is input by the filers, not CPUC staff. Upon acceptance of a filing, the data input by the filers is reviewed by the Docket staff and is automatically input into CPUC case and document management systems. An automated notification is sent to the filer and internal staff, and documents are posted to the public website without additional staff work. The time and effort required to correct, resubmit, and process an acceptable e-Filing is greatly accelerated because rejections, corrections, and resubmissions happen right away. As a result, the Docket Office staff, whose job it is to ensure compliance with Rules of Practice and Procedure, can focus on accuracy and consistency of the data, and compliance with filing rules, rather than data input and paper management. Perhaps the biggest impact of e-Filing has been for filers. Prior to e-Filing, multiple copies of documents had to be prepared by each filer and delivered to the Docket Office by the filing due date. With e-Filing, copying and delivery of documents is no longer required, eliminating copying costs, delivery fees or postage, and giving filers another day to work on the substance of their filing. Filers can also file from anywhere, giving them added flexibility, which is especially helpful for pro per and solo practitioners. In addition, because adoption of e-Filing has been so high, parties can rely on the web to access documents, reducing the need for storing many large documents on their own systems. You can view the CPUC e-Filing Web site at www.cpuc.ca.gov. You can learn more about the California 2GEFS e-Filing standard at the Judicial Council of California Web site:www.courtinfo.ca.gov/programs/efiling/. General Networks Corporation’s Web site is www.gennet.com. Essential Publisher’s Web site is www.epubs.org. RT Logic is the leading supplier of innovative signal processing systems providing field-proven capabilities for communication with satellites, spacecraft, missiles, and airborne platforms. Their deep involvement with defense and aerospace means RT Logic has a complex set of contracts to manage, from client project on-boarding to product delivery. RT Logic’s business grew over the course of 18 years, and the need for process automation and centralized project data increased. RT Logic came to General Networks to assist in solving the challenges of broad adoption of a project booking platform that would improve workflow and collaboration. Process Inefficiency – staff members were printing out documents and routing them around the building on foot or by email. Reduction of Physical Documents – RT Logic was running short on storage space and patience in retrieving documents when required. Easy electronic document storage and retrieval was essential. Information Management – RT Logic needed a better document architecture applied across the organization. Of the many processes that occurred on a daily basis, RT Logic had to figure out which ones were executed frequently enough by their staff to be worth automating via a workflow system. This required a close examination of RT Logic’s process and operations. RT Logic needed a partner that had experience in bringing engineering, contracts, finance, management, and IT stakeholders together to create an online portal that could fulfill their business needs. General Networks started with a thorough information-gathering process, conducted by the project lead with help from RT Logic stakeholders. RT Logic’s Director of Operations Jim Brandt noted: “[General Networks’] process is not unlike what we do with our customers. That made sense to us.” Adding that, “It was pretty amazing how quickly Ingrid was able to gain an understanding of our business processes.” General Networks and RT Logic chose Microsoft SharePoint 2013 Enterprise Edition to build a solution. The end product included add-ons to replace SharePoint’s native wiki functionality and to automate PDF generation. The combination of InfoPath electronic form and PDF generation functionality allowed the system to collect data and task completion confirmations from multiple workflow participants via an easy to use web interface, and then produce read-only PDFs to provide auditors with a file format that is easier to store and access outside SharePoint. Due to a well-defined methodology and partnering through every step of the implementation, General Networks “really helped us walk through the process and understand what this was going to look like company-wide,” according to Mr. Brandt. This attention to process resulted in the end-user acceptance that RT Logic was looking for from the start, along with the business benefits of more efficient internal procedures for contract onboarding. RT Logic has finally found a replacement for their old system, one that actually lives up to its full potential. Having made the decision not to hire a full-time SharePoint administrator, RT Logic continues to work with General Networks for support of their applications and SharePoint farm. For 28 years General Networks has enabled public and private sector clients to improve their operations with content management tools and infrastructure services that support organizational efficiency and growth. 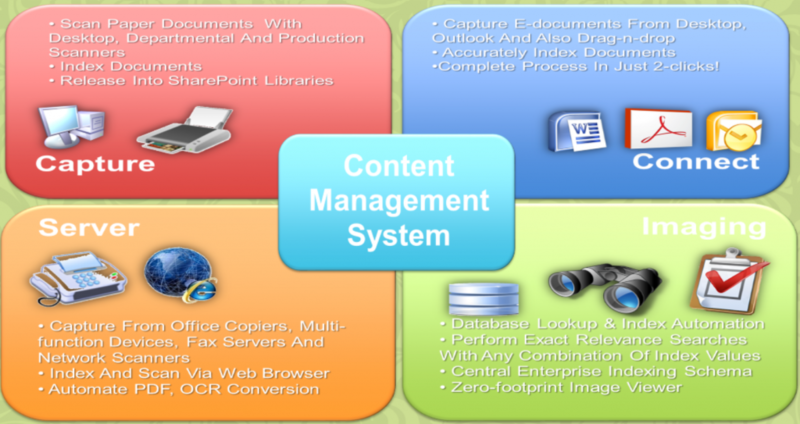 Our content management expertise includes enterprise content management, business process management, eSignature and data capture on platforms such as Microsoft SharePoint, OpenText Content Suite, Kofax Capture, K2, and DocuSign. Our Infrastructure services include Managed IT, server virtualization, disaster recovery and Office 365 migration and management. For more information about our areas of service, please visit https://www.gennet.com. 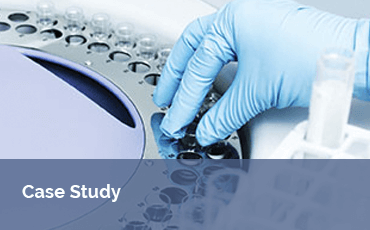 Info: See how General Networks provided Baxco Pharmaceutical with reliable and responsive IT support and a stable network. With over two decades of experience, Baxco Pharmaceutical leaders have provided their clients with superior private label nutritional supplement products at competitive prices, while maintaining the industry’s highest level of customer service and quality standards. Working with distributors and brand companies around the globe, Baxco maximizes client profits with effective bottling, labeling, packaging and order fulfillment services, an all-in-one solution for our customers. Baxco had zero IT staff. They were in a limbo: their needs went beyond their staff’s skills, but they couldn’t justify hiring a fulltime IT support resource. As the company grew, the internal team took on new non-technical responsibilities, leaving no time to support increasingly-important systems. After growing and earning new contracts, Baxco systems would hold more valuable data: formulas, etc. This meant security was more important than it had been been before. Systems became more critical as more employees and larger clients came to rely on them. Downtime would now affect 50 employees, not 25; larger client deliveries would be affected. This had to be avoided. General Networks designed and deployed a scalable, stable, secure network that fit Baxco’s growth plan. With larger and more demanding clients coming on board, security was fortified against common threats: a regularly-updated firewall and new backup strategy keep important data secure. Despite more than doubling their headcount, Baxco’s support bill remains the same in 2017 as it was in 2014. Baxco avoided hiring a minimally-skilled IT administrator at about $45k per year in payroll (not including benefits, training). By engaging with General Networks, Baxco found a lower cost alternative without sacrificing know-how. The General Networks helpdesk and field reps have come through with the responsiveness, knowledgeability, and troubleshooting skills needed to keep Baxco staff on task. With growing headcount, Baxco avoided worries about storage space, client access licenses, and server load by moving their email system offsite in the public cloud. 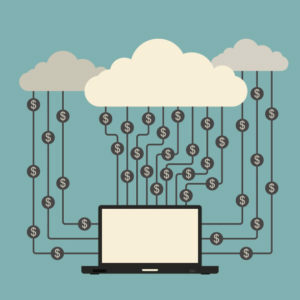 These costs are very predictable and the system has been very stable, allowing staff to focus on effective client communication anywhere they have an internet connection. When Baxco grew out of their old production management system, GNC referred Baxco to a qualified partner to complete an implementation of Dynamics GP. This was a major part of their expansion, matching the buildout of their new cleanroom and production capacity with a system that could track, report, and manage their production process. As an alternative to Oracle solutions, Baxco secured some major licensing and implementation savings. With deep experience in supporting the manufacturing sector, General Networks had the right recommendations and skill to deliver a reliable and growth-ready network. Clear expectations set in 2014 ring true today and partnerships with other technology vendors helped round out the GNC service as new Baxco requirements emerged.